This camera replaces your peephole and and keeps a video log of every neighborly and nefarious visitor. That knock on your front door could herald any number of threats. Solicitors. Home invaders. An unexpected visit from your in-laws. No wonder, then, that peeping your porch is one of the most popular uses for WI-Fi security cameras. Unfortunately, outdoor cameras aren’t entirely inconspicuous and can be easily circumvented once spotted. 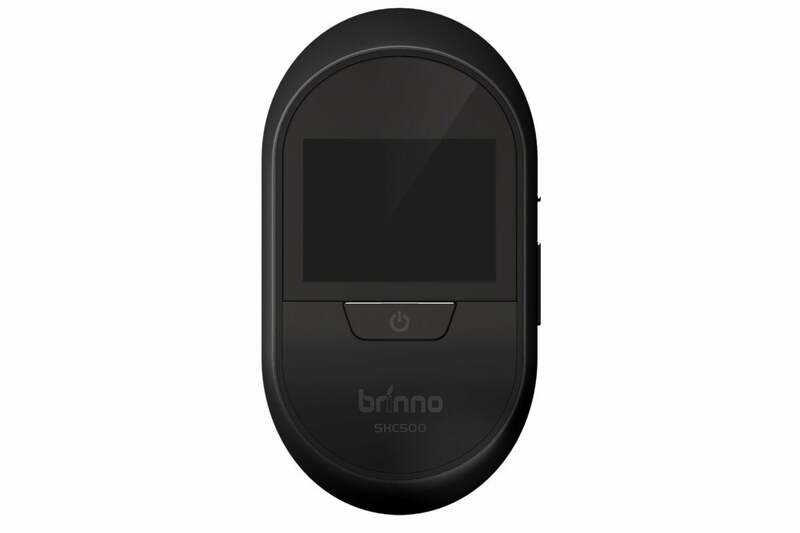 Enter the Brinno $180 SHC500 Peephole Camera. This security camera—an update of the Brinno PHV1330 Hidden Front Door Camera—mounts to the inside of your front door where it displays and records video clips of knockers through the peephole. The SCH500 is essentially two components: an optical-grade-lens peephole that replaces your current one, and a camera unit with a 2.7-inch LCD. Installation is quick and easy. Just insert the four supplied AA batteries and up to a 32GB microSD card (not included), then follow the quick guide to set the camera’s date and time for logging your video clips. The Peephole camera is concealed on the inside of your front door, so ne'er-do-wells won't know you're watching. Once the camera is up and running, you just unscrew your peephole and insert the lens portion of the SCH500 through the front of your door. Then, depending on your door’s thickness, thread either the supplied 12mm or 14mm barrel through the base flange against the backside of your door and screw it in. For this last part, Brinno includes a special “tightening tool” that’s far more efficient than the flat-head screwdriver you might otherwise use. When someone knocks on your door, you tap the power button on the camera to turn on the display. While your viewing your visitor and deciding whether or not you want to open the door, the camera automatically records about 10 seconds of video and saves it to the microSD card. 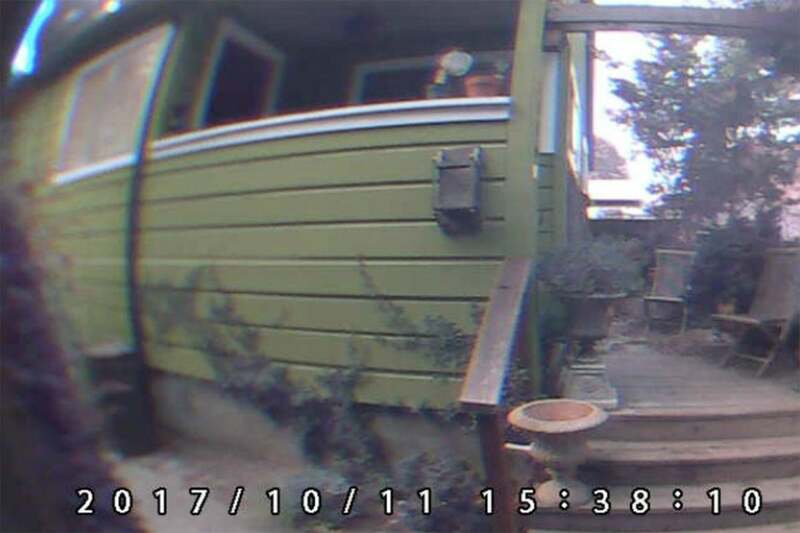 While the image quality isn’t what you’d get with a home security camera like the Nest Cam Outdoor, it’s good enough to clearly identify clothing and make out facial features, and the large display exponentially improves over squinting at a fisheye-distorted figure through a standard peephole. The display’s default viewing angle is 90 degrees, plenty to give a head-and-shoulders shot of your visitor, and you can zoom in to a 40-degree viewing angle by tapping the power button a second time. You can also turn on low-light enhancement for better viewing after sunset by flicking a switch on the side of the camera. Video clips are time- and date-stamped and saved in daily folders. Since you must manually trigger the camera when someone comes to your door, the SCH500 on its own is a limited security solution. It won’t capture evidence of a knock-knock burglary or someone just trying to deliver a package when you’re not home. 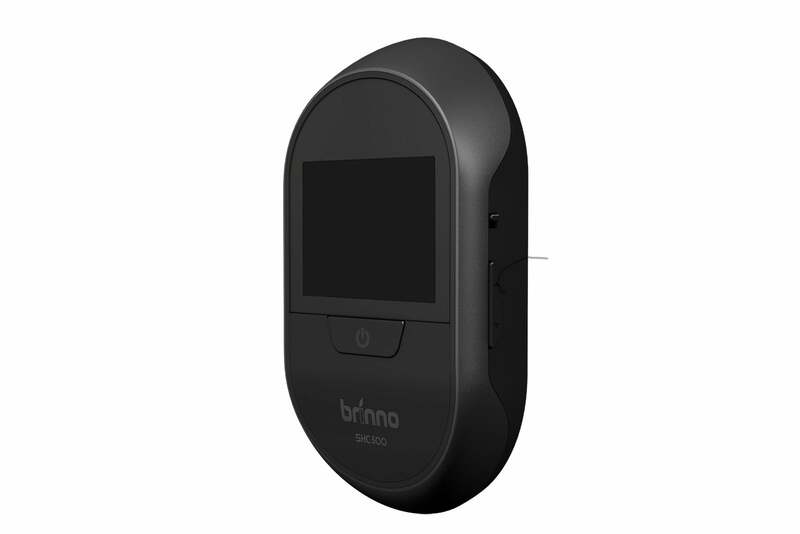 The SCH500 does have an automatic activation option, but enabling it requires you purchase the Brinno KNS100 Knocking Sensor either separately (about $47) or as part of bundle with the peephole camera ($225). The sensor, which we were not able to test, slots into a port on the back of the camera and activates video recording when it picks up vibration on the door. Recorded video clips are saved as date- and time-stamped .avi files in daily folders. You view the clips via auto playback or manually using the up and down buttons on the side of the camera. If you happen to catch someone stealing a package or breaking in, pop out the microSD card and deliver the video evidence to the police. The Brinno Peephole Camera is a simple but effective front door security solution. There’s anecdotal evidence that package thieves and other burglars are onto the fact they’re being watched and are approaching outdoor security cameras with hands up to obscure their faces or to block the lens. The fact that the Peephole Camera is concealed behind the door and looks like regular peephole from the outside makes it an attractive alternative. The camera's 2.7-inch display is a big improvement over squinting through a peephole. The ease of use should also appeal to anyone who wants to better protect children or elderly parents home alone during the day. The one-button activation is simple enough that any grade-schooler can use the camera, and caregivers can review the video logs when they get home from work. The Ring Video Doorbell 2 is the most obviously comparable product in both price and purpose, and it does have some advantages over the Peephole Camera. It allows you to communicate with visitors without opening the door or even being at home, thanks to its Wi-Fi support, and you don’t have to wait until you get home to watch surveillance clips since they’re viewed on your mobile device, not the camera itself. Those are personal preferences, though. As a parent with kids on the cusp of being able to stay home alone, I wouldn’t hesitate to buy the Brinno Peephole Camera to increase their safety and my peace of mind. 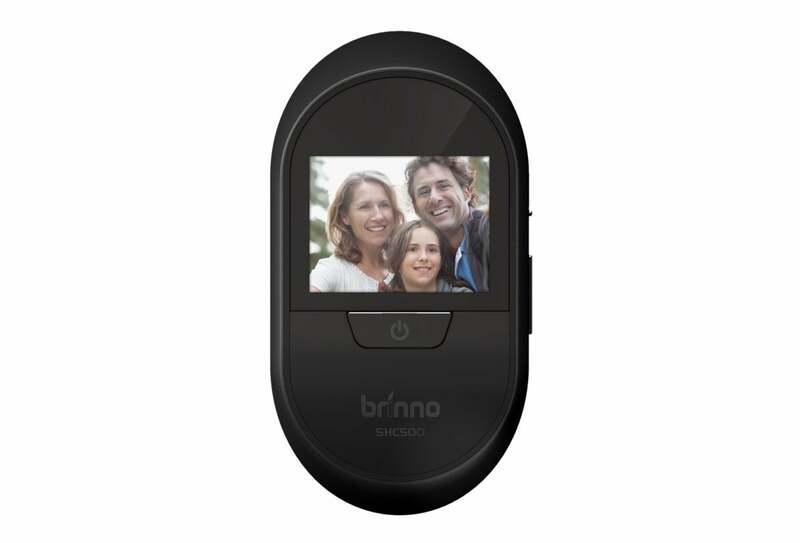 The Brinno SHC500 Peephole Camera is a simple, effective way to safely monitor for unwanted visitors.